Last chance to take full advantage of your tax free allowances and exemptions before the end of the tax year- 5th April. Making sure to use up any allowances you are entitled to is the first step in reducing the amount of tax you are liable to pay. In some cases, using up allowances such as pension contributions can reduce your gross wage enough to affect tax brackets and the amount of children's allowance you may lose. Below are a list of personal tax free allowances which we are each entitled to and which must be used on or before the 5th April 2020. The rates given are correct for the 2019/20 tax year. When you use an allowance, such as your pension allowance, you reduce your total income assessed for tax. Reducing your gross earnings figure can also help if your earnings are not far above the 20% threshold, or the earnings threshold for Children's Allowance. By using an allowance, such as your pension allowance, you can reduce your gross figure to below the 20% cut off point, avoiding having to pay 40% on anything above it, while providing for your financial future at the same time. We are all entitled to save up to £20,000 this year, tax free. This £20,000 can be placed in a cash ISA, a stocks and shares ISA, or you can mix and match between cash and shares as you like. If you have savings accounts, you should have an ISA. In a regular savings account you pay tax on interest earned at either 20% or 40%, depending on your tax rate, however from 2016/17, a new Savings Rate of tax was introduced, which gives the first £5,000 of income from bank interest as free from tax for the majority of tax payers. Savings in an ISA are not subject to tax. This makes it nearly impossible for a regular savings account to beat the return made in an ISA. Just like a regular savings account, cash ISA's can be instant access, fixed term, etc. It is worth shopping around for the best rates as they can vary greatly. You can change providers as you want, to access better rates, depending on the conditions of the ISA accounts you have open. Just like ordinary ISA's, there are Junior ISA's. They can be opened for children under 18. The child can take control of the ISA's from the age of 16, but cannot withdraw from them until they are 18. This year's annual tax free Junior ISA allowance is £4,368. You can mix and match as you would like between cash and share ISA's. If contributing the maximum yearly contribution to your child's ISA is beyond your means, there is nothing to prevent a grandparent from contributing to their grandchild's ISA. Between the ages of 16 and 17 a child can actually access both Junior ISA allowance and ordinary cash ISA allowance as they meet the criteria for both! (Investment ISA) Investment account Interest is Tax Free. Lifetime Cash ISA £4,0001 House deposit and/or retirement savings. Lifetime Stocks and Shares ISA (LISA) Interest is Tax Free. Inheritance ISA's Some providers are using this to describe accounts that will accept ISA balances inherited from a deceased spouse. The surviving spouse can claim the balance of the deceased's ISA in addition to their own allowance for the tax year. Flexible ISA's A variation on cash and stocks & shares ISA’s allowing you to add money to your ISA, then withdraw it, and then add it again without using up all of your allowance. NB: Merged cells indicate that your contributions can be split between two or more types of ISA in the same tax year. Lifetime ISA's available from 2019/20. 1 Lifetime ISA's have a limit of £4,000, and this is included as part of your £20,000 allowance. 2It isn't possible to have a Help to Buy and a Cash ISA in the same tax year, but some products offer 'split' ISA's, allowing you to have both, up to the maximum allowance. In the 2019/20 tax year, you are able to place up to 100% of your salary or £40,000 (whichever is lower) in to a pension, tax-free. Any past years Pension Contribution Allowance which had not been used up can still be carried forward, but only for the last 3 tax years. Using your pension allowance can significantly reduce the earnings you get taxed on, possibly bringing your earnings for tax purposes down into another tax bracket. It should also be noted that your pension allowances can be back dated for up to 3 years. So, if you have used only some, or none, of the £40,000 pension allowance from previous years, you can carry it forward and use up to a possible £160,000 this year, tax free. You must use up this year’s allowance in full first, and then you can claim previous years unused allowances. Any 2016/17 unused annual allowance will be lost if not used by the 5th of April. The £40,000 tax-free allowance changes once your total taxable income is more than £150,000 then the allowance decreases – this is known as tapered annual allowance. As an example. for 2019/20, if your total income is £160,000, then your annual allowance is £35,000. If your total income reaches £210,000 then you will have a tax-free pension allowance of £10,000. If you want to top up a National Insurance shortfall from previous years for the sake of your State Pension, you can do so, but only for any of the previous 6 years. Time is running out to top up NI contributions from 2013/14 - you have until the 5th April. For those individuals whose earnings are in and around the tax band thresholds, some last minute planning may be tax efficient. 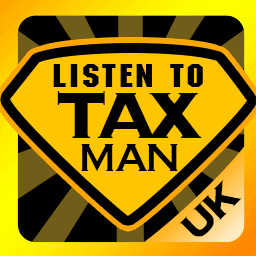 The 40% tax band was narrowed to include earnings over £50,000 for this year, but the Personal Tax Free Allowance was increased to £12,590 for 2019/20. This means up until April 5th you can earn up to £50,000 without going into the 40% tax band (Personal tax free allowance of £12,500 + £37,500). Including more earnings in the 2019/20 tax year may be an option if you are still under the £50,000 annual threshold at the end of this tax year. You may be able to have a pay bonus or dividend paid before the 5th April rather than after to use up to your maximum earning threshold. Time is running out to claim any overpaid tax back from 2015/16. You can claim back overpaid tax for four previous years only. Everyone has a basic personal tax free allowance. This is the amount of money you can earn tax free each year. You do not normally need to do anything in order to receive this as it should automatically be applied when you are paying tax. If you earn over £100,000 this will be reduced, but otherwise it is £12,500 (2019/20 tax year). In 2020/21 this remains at £12,500. For those aged over 65 this rate is £12,500; over 75 it is £12,500. For all 2019/20 rate changes see our Budget Summary. If you are married and have used up your personal allowance, but your partner has not, it may be beneficial to transfer some savings or other assets into their name (bearing in mind they will then legally own those assets). The Marriage Allowance (MA) allows a married couple to transfer a proportion of unused tax allowance to the partner who has less income, provided they are a basic-rate taxpayer. And, if the above applies but your partner passed away after April 2015, a new rule allows you to claim the allowance. Marriage Allowance came into play in April 2015 - if you haven’t already claimed it then you can back date it (up to a maximum of 4 years). So, if you claim for the previous 2 years, HMRC will more than likely include this year’s allowance too – potentially £717! If you were married before 5 December 2005, the husband’s income is used to work out MCA. For marriages or civil partnerships after 5 December 2005, it’s the income of the person who earns the most. MCA could reduce your tax liability each year if you’re married or in a civil partnership. For the 2019 to 2020 tax year, it could reduce your tax liability by at least £345 and at most £891.50 a year. Use HMRC’s MCA calculator to help you work out what you could be entitled to. The introduction a few years ago of the High Income Child Benefit Charge means those couples where one of the couple have income in excess of £50,000 start to lose some of their child benefit. By the time you get to £60,000 in earnings, your Child Benefit payment has been taken in tax. The obvious way to lessen this is through increased pension contributions. See our article on ways to lessen the amount you lose from Child Benefit Charge. The first £3,000 given away each tax year is not subject to Inheritance Tax if you die. Amounts greater than £3,000 can later become subject to inheritance tax, if you die within 7 years. If you don’t use the exemption this year, you can carry it forward for one tax year and use it then. As such, if you want to avail of 2018/19's unused Inheritance Tax Exemption, you must do so before April 5th. There is also the Small Gifts Allowance, which means you can give up to £250 to any individual each year without being subject to IHT. These small gifts can be repeated as many times as you want, so you could use them as a way to, for example, add to your grandchildren's Junior ISA's. In this case you would be using up your gifting allowance and their tax free savings allowance at the one time. For a more detailed look at Inheritance Tax and Estate Planning see our Guide. The annual exemption is £12,000 for 2019/20. If you have unrealised gains, you may decide to dispose of some before the end of the tax year to use up your annual exemption. Married couples are taxed individually on capital gains, so transferring an asset from one spouse to another before realising a gain can be tax efficient. As far as possible it is important to use the annual exemption each tax year because, if unused, it cannot be carried forward. You can also use your allowances to help loved ones who are just over thresholds such as the which they place in their pension, Child Benefit Earning threshold or the 20% tax rate threshold. Gifting them a larger sum, allows them to use up their pension allowance while reducing their taxable earnings by that same amount. It can also help reduce your estate for Inheritance Tax - IHT purposes if that is something you are interested in doing. This article was published in our Guides section on 26/02/2019.